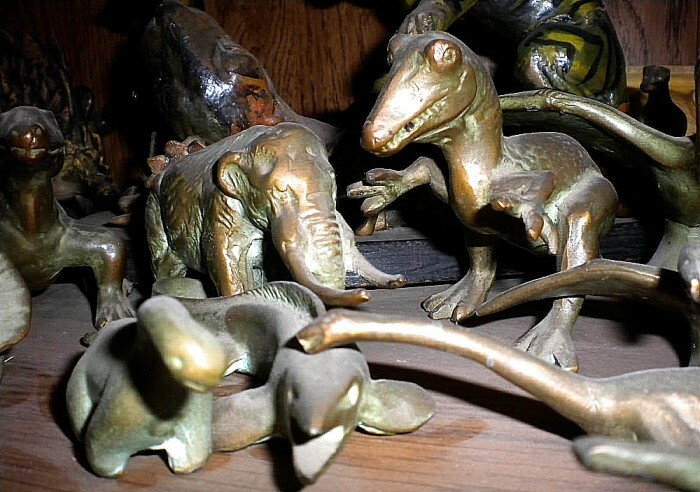 SRG (initials for Sell Rite Giftware) metal figures — in large and small sizes — first made in the late 1940s, but sold for decades thereafter. 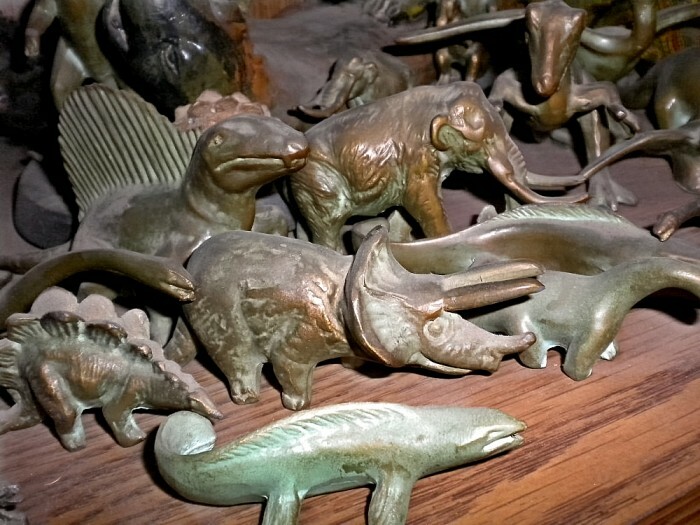 These figures were mostly (but not exclusively) sold at museum gift shops. 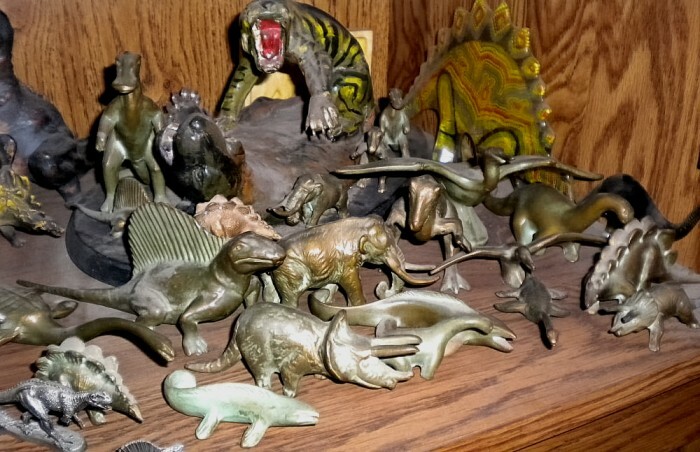 To view the “inspiration” for SRG’s large Tyrannosaurus figure (shown in the group below), CLICK HERE.